With a heatwave on the horizon here in the Land of Steady Habits and mint growing like mad, I was on a mission to make the most of my secret garden. 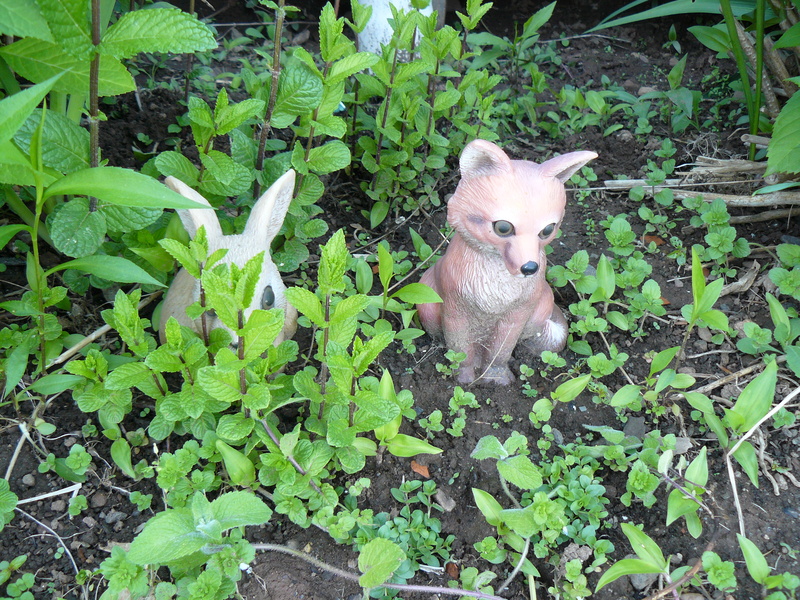 Shh, the wabbit is hiding behind the mint–don’t tell anyone! Luckily, I was smart enough to pick the mint earlier today while it was sunny and gorgeous out. 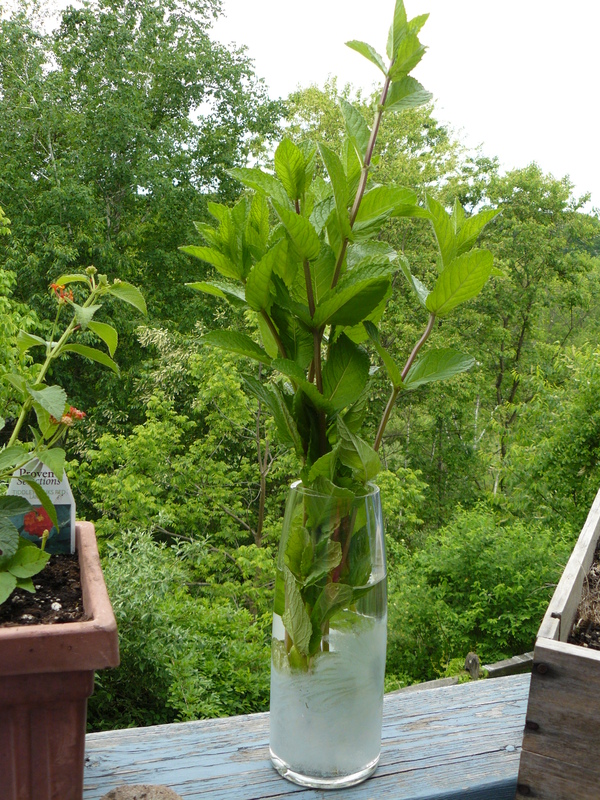 I stored it in this lovely, made-especially-for-me vase (thanks to my #1 taster) before it started to rain. Makes quite the pretty bouquet, no? 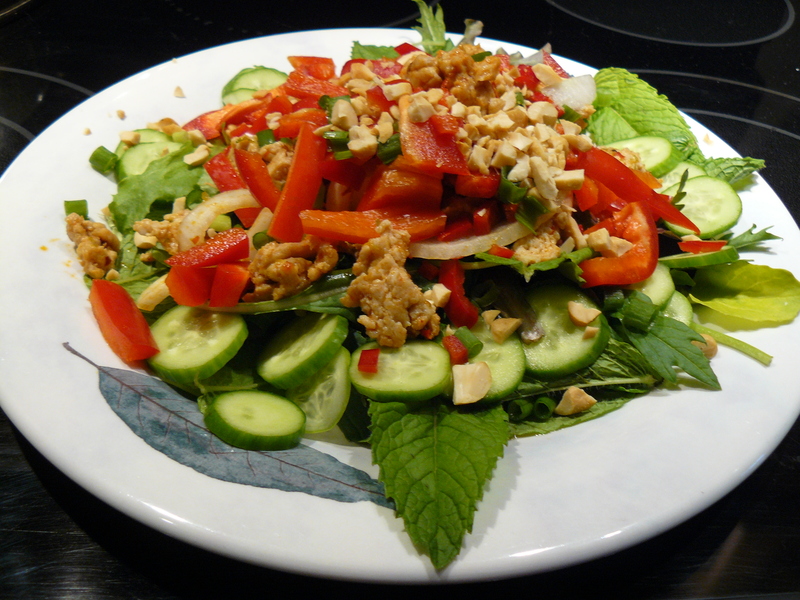 Anyway, as we’re headed for plenty of heat and humidity over the next few days, what better time to share this recipe for Thai-like (laab-like, larb like) chicken salad? I added extra things I like–red bell pepper, jalapeno, chopped cashews, green onions–and subtracted much of the fish sauce. A little fish sauce goes a long way for this kat–perhaps for you, too. Rinse mint leaves, chop the vegetables and cashews. Combine lime juice and zest, brown sugar, 1 teaspoon of chili paste and fish sauce in a medium bowl. Heat olive oil in a large skillet over medium heat. Add garlic and 1 tablespoon chili paste. Cook just about a minute or so, then add chicken. Break up meat with your spatula as you go, until chicken is completely cooked. Add cooked chicken and sliced onion to dressing. Grab a handful of spring mix and a generous handful of mint per plate. Sprinkle cucumbers around perimeter. Place a quarter of the chicken/onion/dressing mixture atop greens. Sprinkle with bell peppers, green onions, jalapenos and cashews. Note: the chicken can be made ahead and served cold, but I like to serve it warm. How about a little lovin’ from the oven on a Sunday morning? 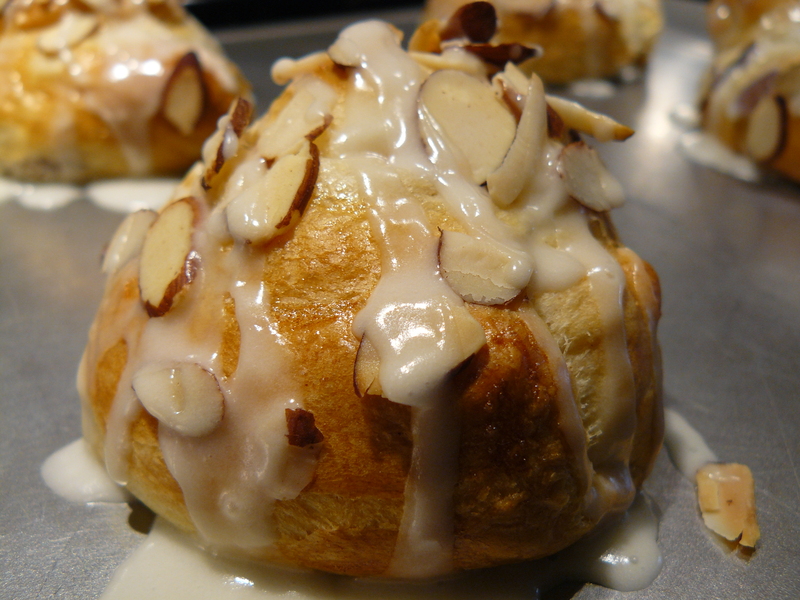 This Pillsbury classic is an old favorite of mine. I’ve been making these for so long, they feel like my own recipe, though I think I must have found them in a magazine or on the label of a Pillsbury crescent roll can once upon a time. The original recipe is doubled. 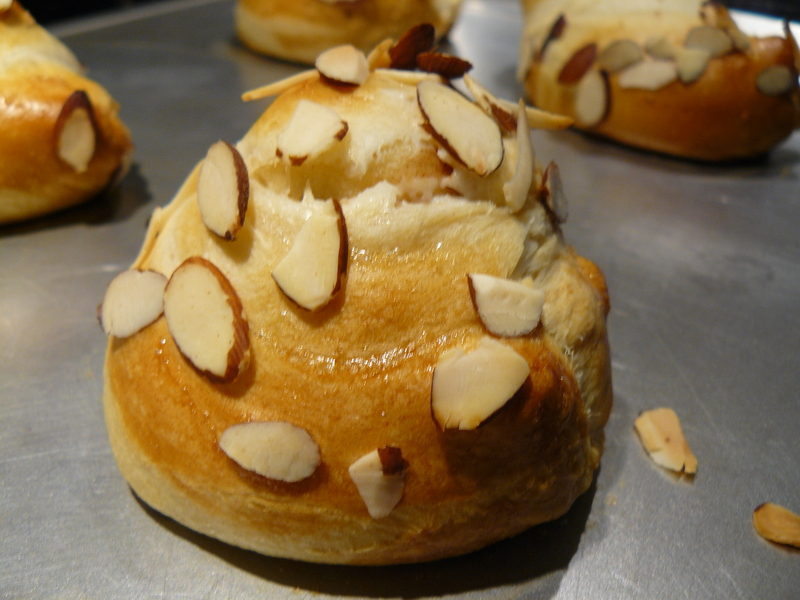 I rarely feel the need to be surrounded by 8 danish, so here’s the recipe as I always make it: one can of crescents yields four yummy cream rolls. Heat oven to 350 degrees F. In small bowl, beat cream cheese, almond extract and powdered sugar. Separate crescents into four rectangles. Use your fingers to seal the dotted line that runs diagonally across each rectangle. Spread each rectangle with a quarter of the cream cheese filling to within a quarter inch of the edges. Sprinkle cinnamon over cream cheese. Starting at the longer side, roll up each rectangle into a long roll of dough. Gently stretch each long roll to approximately 10 inches long. Then coil each roll into a spiral with the seam on the inside. Place on ungreased cookie sheet. In small bowl, whisk together egg white and water, brush over roll. 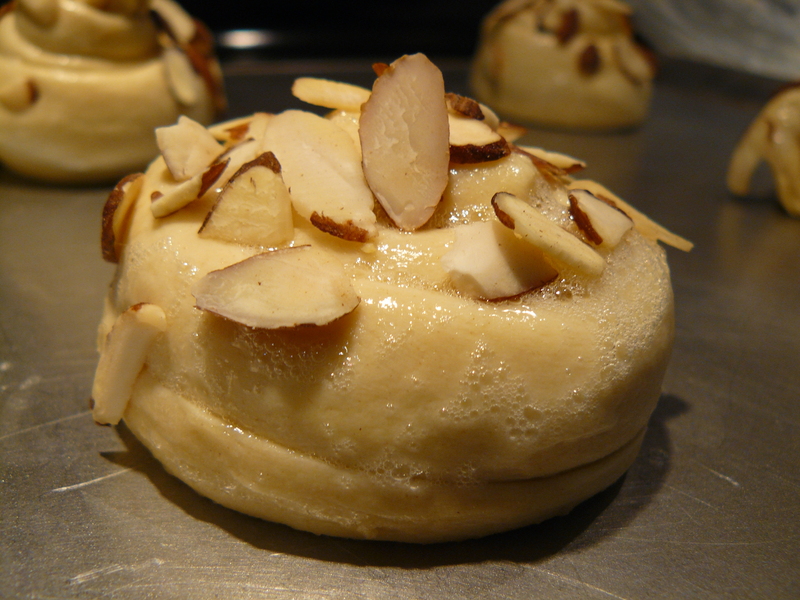 Sprinkle with sliced almonds. 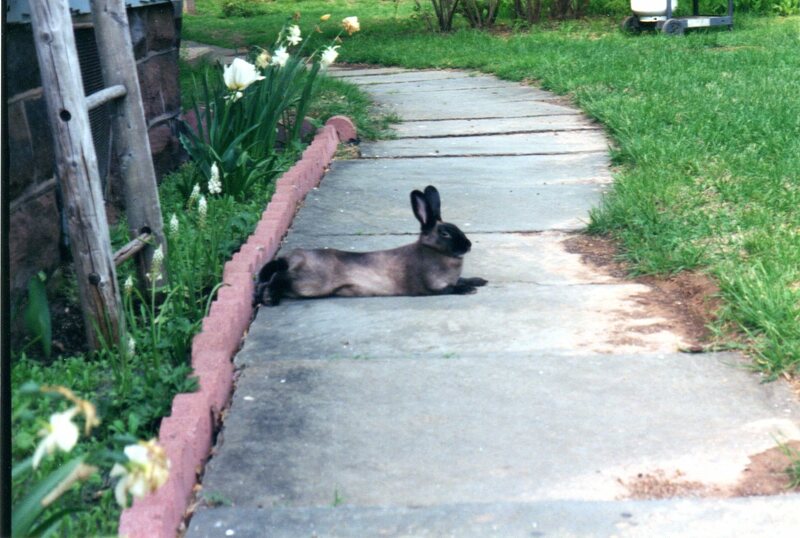 Bake at 350 degrees F for 17 to 23 minutes. Drizzle glaze over warm rolls. Enjoy your breakfast! It’s tiki time! Warmer weather finally seems to be here to stay, so I’ve invited some special amici to party with us. Meet the new crew. Tiki mugs this cool are certainly worthy of a sassy cocktail. If you like a Scorpion Bowl, you’ll be happy to know you can easily shake up a Sassy Scorpio with freshly squeezed fruit juice to take a virtual trip to paradise right in your own home. Shall we? juice of 1 orange (I’m loving Cara-Caras lately), about 5 oz. Remember: crushing ice is cathartic, so at the end of a grueling day, just grab a hammer (a meat mallet works even better) and a gallon Ziploc bag and bang your troubles away. Et voilà, crushed ice. Fill two tiki mugs with ice and set them in the freezer while you whip up the drinks. 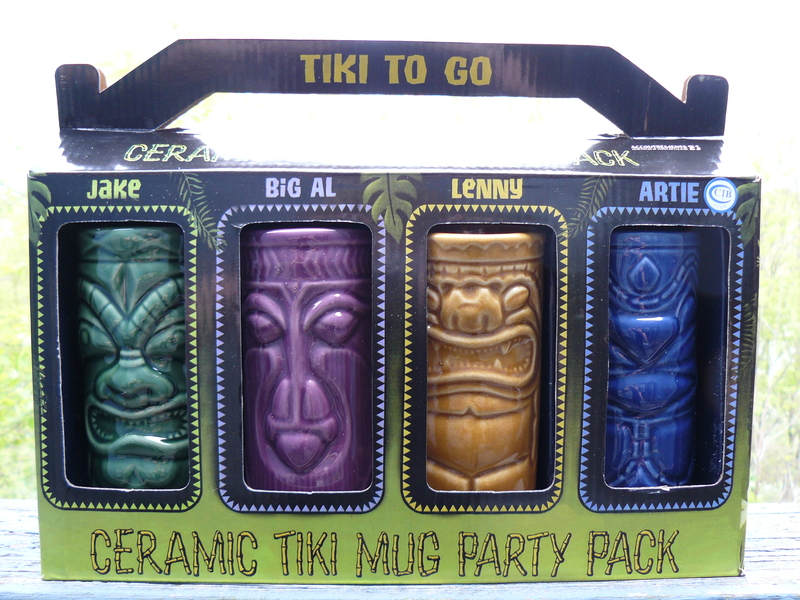 You know, just like us, tiki mugs like to chill. Squeeze the fruit juice (except for the pineapple, of course), add the pineapple juice, grenadine and liquors. Shake in a cocktail shaker with ice. Strain into tiki mugs. You’ll have enough to fill two mugs and then some. So take a good sip and be sure to top off your drinks. Garnish with two cherries speared on a toothpick. Now you know what to make for Hawaiian Shirt Friday–just one more day to get there, thankfully, WHEW! Here’s some music to get the party started! 😉 Aloha, amici! 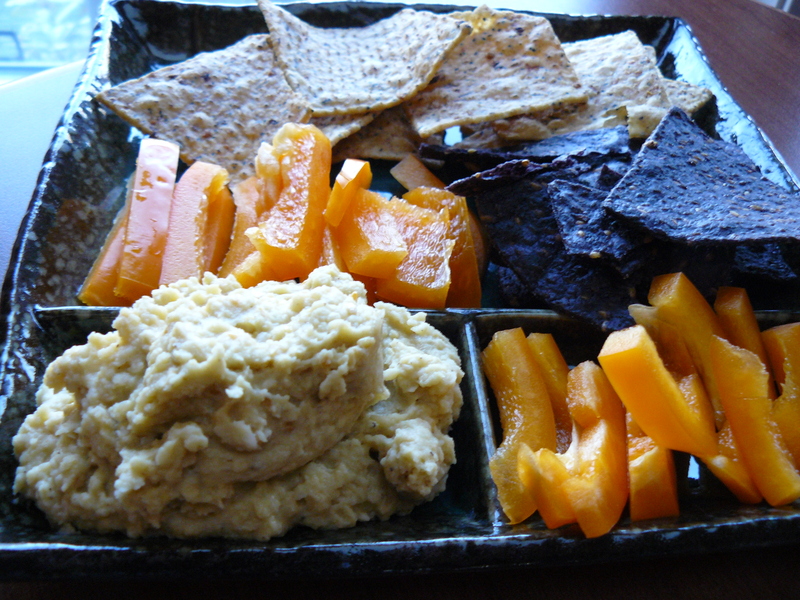 Parlez-vous a homemade hummus? It’s so easy to make at home if you have a blender or mini food processor. If you haven’t already given it a whirl (HA! ), you’ll kick yourself for not trying it sooner. So, don’t delay–let’s make hummus today. And off to the kitchen we go to play! In a small skillet, toast sesame seeds over medium heat until golden, shaking the pan often. Set aside. Place chick peas, oil, lemon juice, garlic, salt and pepper in blender or mini food processor and blend till smooth. Add sesame seeds. Blend. Chill. I told you it was easy! Serve with your favorite veggies, tortillas or crackers for dipping.